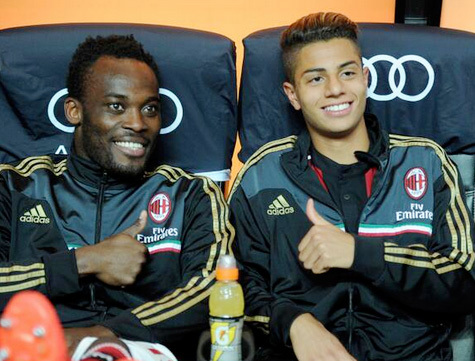 As AC Milan battle Sassuolo in the last round of Italian Serie A, the youth prodigy, fifteen year old Hachim Mastour, is on the team's bench for the first time, looking to enter the game at some point as the youngest player ever to do so for the Rossoneri. Hachim Mastour, voted as football's biggest young talent, grabbed the headlines a few months ago, after battling Neymar in a Red Bull sponsored ball juggling contest. 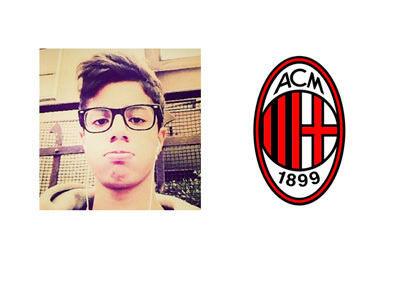 AC Milan signed the Moroccan wonderkid in 2012 from Reggiana FC, for a reported fee of €500,000. Update: The debut was eventually denied as AC Milan had to chase goals in hopes of qualifying for the Europa League next season.